Kubota U30 – U35 mini excavators offer superior performance and horsepower. Kubota U30 is a zero tail swing design, allowing the tail of the machine to swivel within the width of the tracks, making it a great choice for excavation operations in confined spaces. The U35 is a tight tail swing mini excavator, with just 1.9 inches of its counterweight protruding, which allows the machine to operate optimally in space-constrained job sites. The U30 features a powerful 28.2-hp diesel engine while the U35 has an impressive 24.8-horsepower engine. These versatile machines deliver optimal digging and lifting performances. To ensure that you maximize productivity, performance and return on investment (ROI), it is important to equip these compact excavators with high quality rubber tracks! Why Use Premium Rubber Tracks on Kubota U30 – U35 mini excavators? Monster Tires has got you covered when it comes to brand new, high-quality rubber tracks for your Kubota U30 – U35 mini excavators. 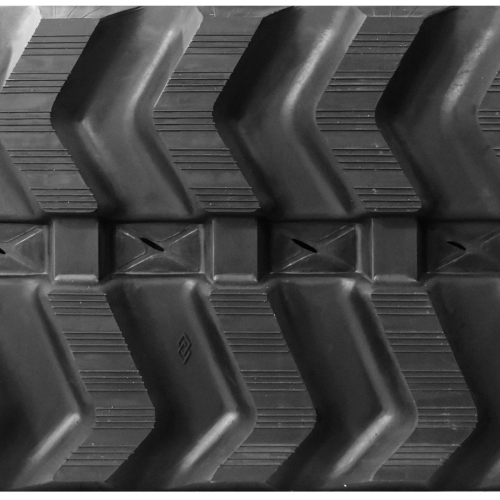 All our rubber tracks are specially constructed using tough rubber compounds that are puncture-averse and crack-resistant. For added durability and strength, each rubber track is reinforced with a continuous steel belt, made using heat forged steel. We offer fast shipping for your convenience and our tracks are reasonably priced to meet your budget. Give us a call today!